1. Introduction. 2. 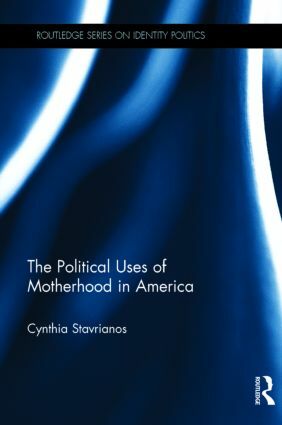 The Uses of Motherhood in American Politics. 3. Motherhood Makes Strange Bedfellows: An Overview of Politically Active Mothers Groups. 4. Origins of Action: Founding Motivations. 5. Grieving Mothers, Anchor Babies and Time out Chairs: Ideological Variation in Political Uses of Motherhood. 6. The Possibilities and Perils of Political Motherhood. Cynthia Stavrianos is assistant professor of political science at Gonzaga University. Previously, Dr. Stavrianos taught Women's Studies at the University of California, Santa Barbara and Political Science at Northern Arizona University. She teaches courses in American politics, women and politics, urban politics, and race and ethnic politics.Her research interests include motherhood as a frame for political action and ridicule as a response to women’s political action.